SFW123CTB Combination Fire/Water Safe is rated 4.4 out of 5 by 7. 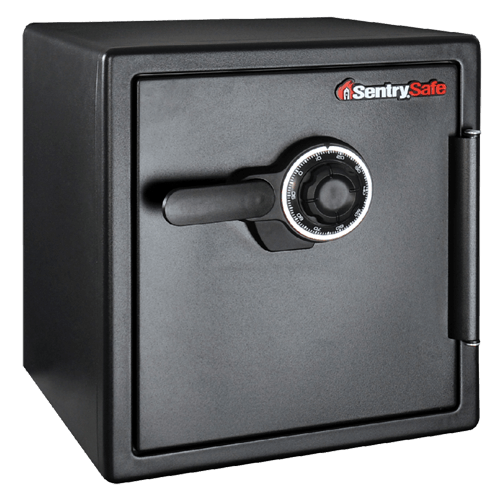 Solid steel construction provides reliable security for your important documents, digital media and other valuables. 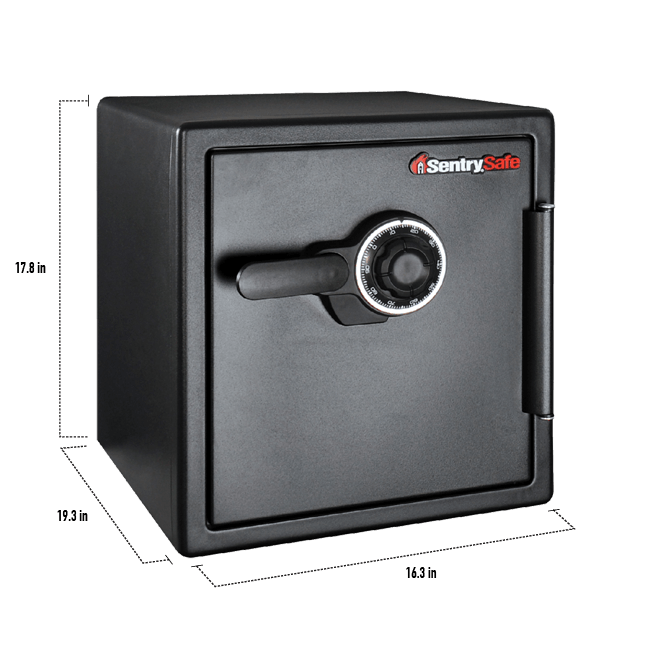 Ideal for your home or office security needs, the SFW123CTB offers fire and flood protection and an interior key rack, door tray and door pocket to keep your items safe and organized. Rated 5 out of 5 by BigSarge from Perfect This is exactly what we were looking for. We have a bunch of printed pictures and personal papers that we need protected. Perfect size for the spot we wanted to place it at. Will buy another as soon as we need to. Rated 4 out of 5 by julie safe owner from It's okay . I have some concerns about the handle, It seems kind on flimsy. It is made of plastic and seems like if I put pressure on it it would break. Other than the handle it is a good safe. Rated 3 out of 5 by marinas from Good size I was looking for a non-digital safe to store documents and valuables. This is a good size for domestic purposes. I also like that it is fire resistant and water proof. Rated 5 out of 5 by Grav from Great Fit This product fits my requirements and I am very pleased with the safe! Great customer satisfaction! Rated 4 out of 5 by screspob from Robust and strong Good size to store different things but need to be sold with more shelf or things inside. 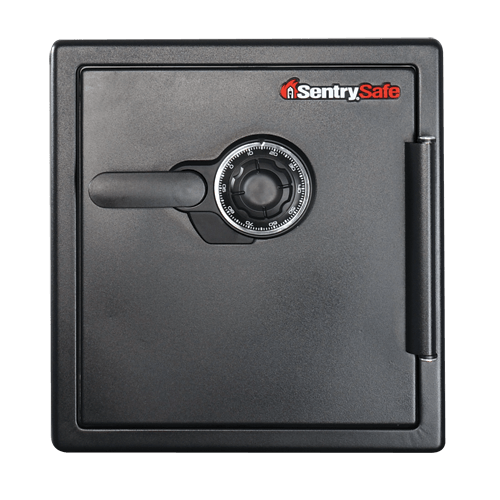 Rated 5 out of 5 by Pepper from Strong and secure safe This safe is the perfect size for jewelry and important documents.